Think eCommerce on steroids. Grrrrrrrrrrrr! This was a monster project. 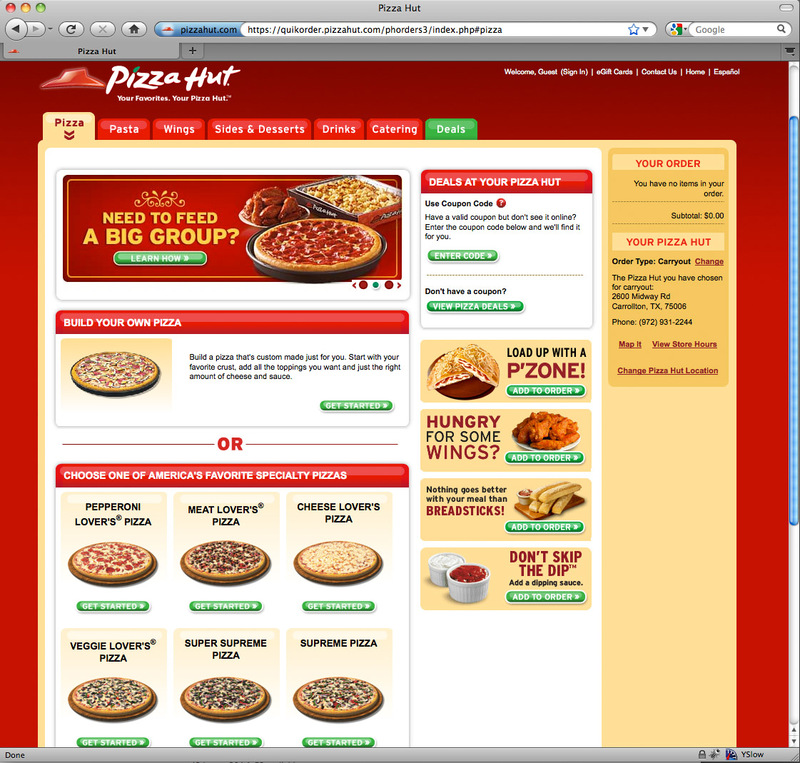 We took this programmer-/developer-designed experience into a new enticing pizza and wing user experience focused on conversion, conversion, conversion. This was a ground up redesign/rebuild which was connected to a newly developed backend API. A big challenge of mismatched SKUs was solved with some crafty programming and creative image production. The challenge of making pizzas completely customizable while limiting them to toppings exclusive to each franchise was daunting but cleverly solved in the order engine. The experience itself became very visually focused on showing the delicious product as users maneuver through placing an order. Research showed that people wanted to get in and out as quickly as possible, so close attention was paid to the number of clicks needed to place an order as well as creating industry-changing reorder favorite processes. Close attention was paid to cross-sells and up-sells increasing the overall order price. 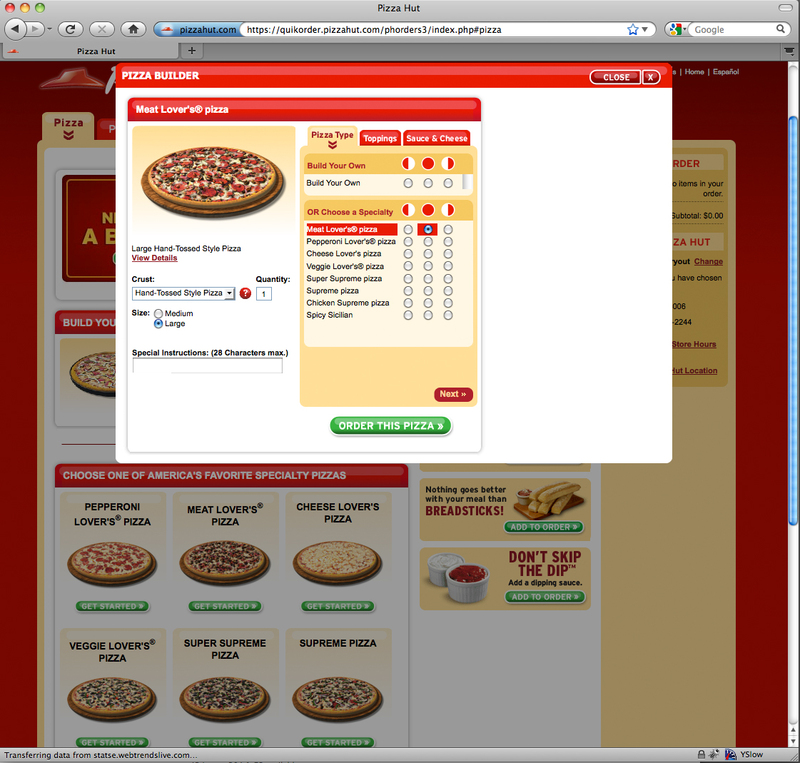 Finally, the cart was updated showing a visual of what users ordered with pizza boxes and wing boxes matching what would be delivered. This is one of the most advanced eCommerce experiences out there. 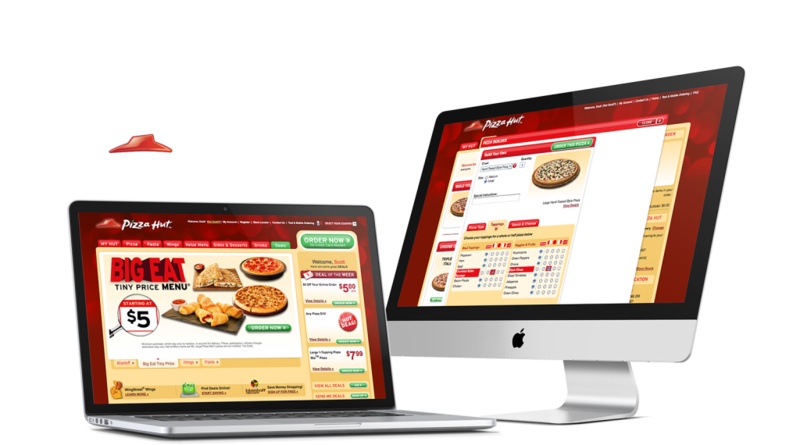 Think about it – how often is it you place an order online and a person knocks on your door 30 minutes later with your hot order. Amazon doesn’t even do that. Yet. 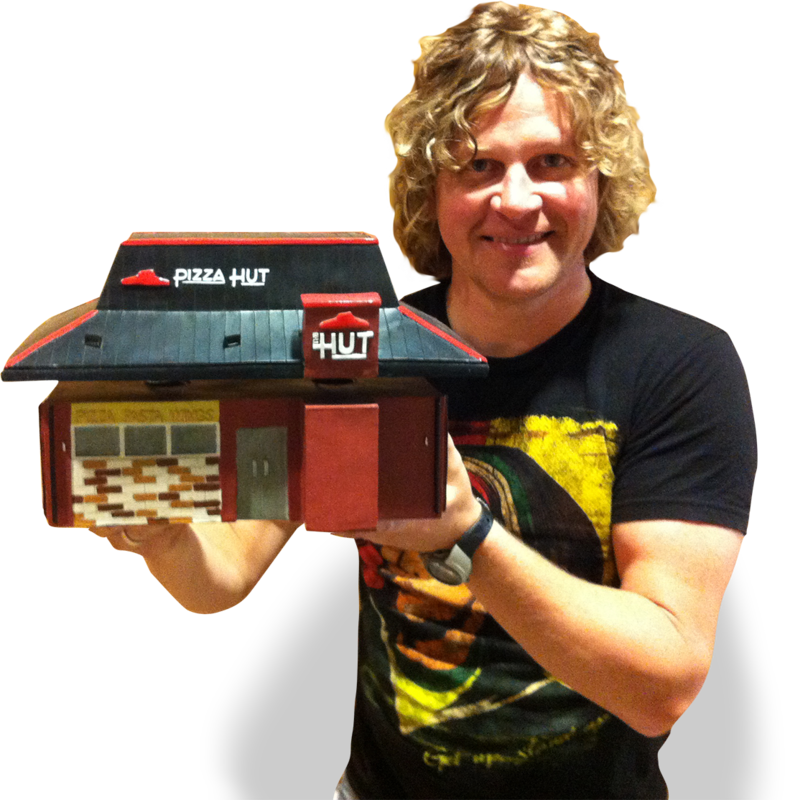 My team won Pizza Hut’s coveted Pizza Hut Bubble Top award for being the agency that produced the best work with the biggest ROI.